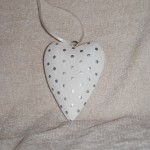 Home / STORE / Hearts / Silver Spotted Heart. 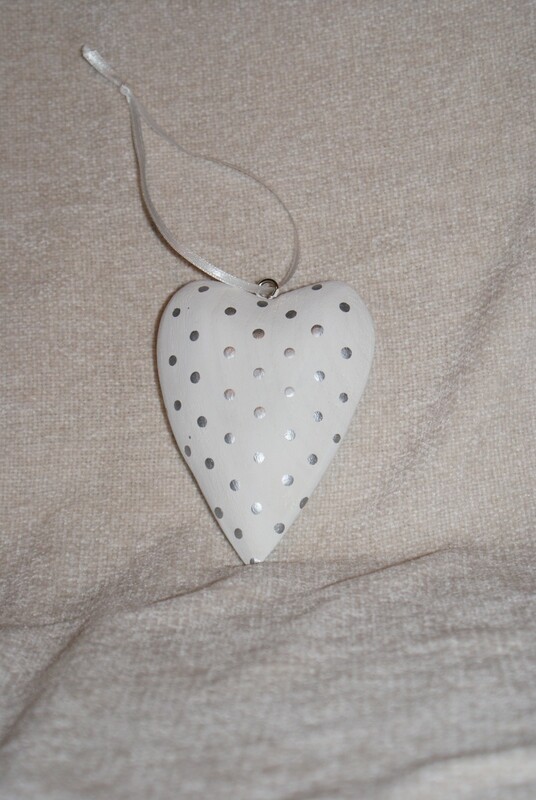 Made from wood, these surprisingly light white hearts are decorated with silver spots, hanging from a white ribbon decorated with a white wooden bead. Approx 10.5 x 5 cm.